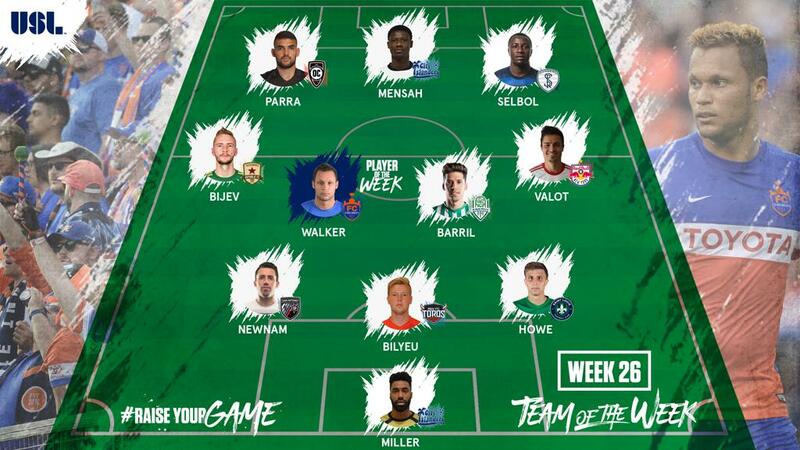 TAMPA, Fla. – FC Cincinnati midfielder Kenney Walker has been voted the USL Player of the Week for Week 26 of the 2017 season. Walker recorded his first goal of the regular season and notched two assists, as Cincinnati earned a 4-2 victory on Saturday night in front of a USL-record crowd of 30,417 fans at Nippert Stadium that boosted FCC into sixth place in the USL Eastern Conference with four games to go in the regular season. Walker received 53 percent of the poll conducted by a national panel of independent media representing every USL market. Swope Park Rangers forward Nansel Selbol finished second with 24 percent of the vote. GK – Brandon Miller, Harrisburg City Islanders: Miller notched five saves across a pair of outings, as the City Islanders drew with FC Cincinnati and earned victory against Toronto FC II. D – Ben Newnam, San Antonio FC: Newnam notched his first goal for San Antonio, as the side clinched a place in the USL Cup Playoffs on Wednesday night with a 1-0 win against Orange County SC. D – Justin Bilyeu, Rio Grande Valley FC: Bilyeu helped the Toros shut out the USL’s leading scorers and also converted from the penalty spot in a 1-0 victory against Reno 1868 FC on Saturday night. D – Ryan Howe, Saint Louis FC: Howe scored the opening goal in Saint Louis’ 2-0 victory against Orlando City B and also recorded five tackles and three interceptions in a key win to STLFC’s playoff hopes. M – Villyan Bijev, Sacramento Republic FC: Bijev’s second goal in as many games earned Sacramento Republic FC a 2-1 victory against the LA Galaxy II to further bolster the club’s playoff aspirations. 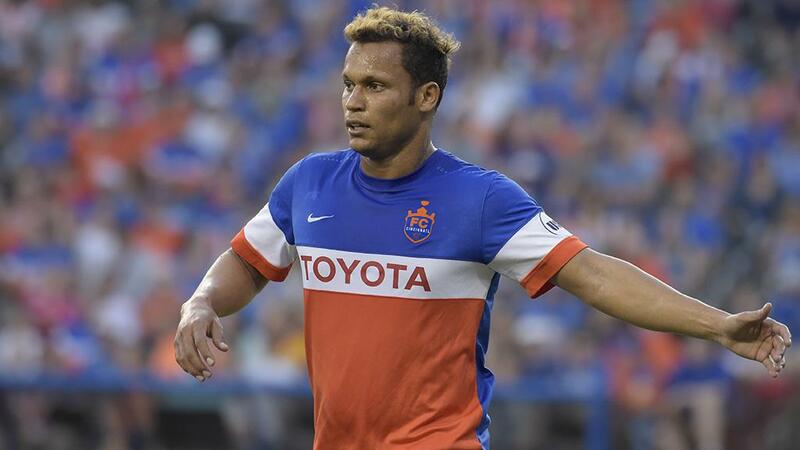 M – Kenney Walker, FC Cincinnati: Walker had a goal and two assists, as well as created three scoring chances, recorded six tackles and four interceptions, in FCC’s 4-2 victory against the New York Red Bulls II on Saturday. M – Jose Barril, OKC Energy FC: Barril scored a spectacular individual goal and put in a strong performance in midfield, winning 10 of 12 duels while recording five tackles and three interceptions in a 2-0 win against Tulsa Roughnecks FC. M – Florian Valot, New York Red Bulls II: Valot was outstanding in defeat against FC Cincinnati on Saturday, scoring both goals for the Red Bulls II while also completing 32 of 40 passes and recording four interceptions. F – Irvin Parra, Orange County SC: Parra recorded assists on both goals, as Orange County earned a crucial 2-1 victory on Sunday evening against Vancouver Whitecaps FC 2 in its push for the playoffs. F – Ropapa Mensah, Harrisburg City Islanders: Mensah notched two goals and one assist, as Harrisburg earned four points against FC Cincinnati and Toronto FC II over the week. F – Nansel Selbol, Swope Park Rangers: Selbol scored twice, including once from the penalty spot, as the Rangers notched a season-high five goals in their victory against San Antonio FC on Sunday evening. Every game of the 2017 USL season can be seen live, free and in HD through the league’s official Match Center, with updates from across the league also available via Twitter, Facebook, and Instagram.